If Kellyanne Conway and her husband, George Conway, ever decide to seek marriage counseling, they might want to enlist the services of Jim Carrey because he seems to have a few thoughts about their relationship. Actor-artist Carrey turned his artistic talents toward Trump counselor Kellyanne Conway and her husband, suggesting that their differing stances on President Donald Trump — Kellyanne is a fan, while George is decidedly not — must cause “a lot of fiction” between the couple. “George T. Conway III tells the truth about Trump while his wife Kellyanne ‘Crypt Keeper’ Conway tells nothing but Trumped up lies,” Carrey wrote of his latest artwork, published Tuesday night. 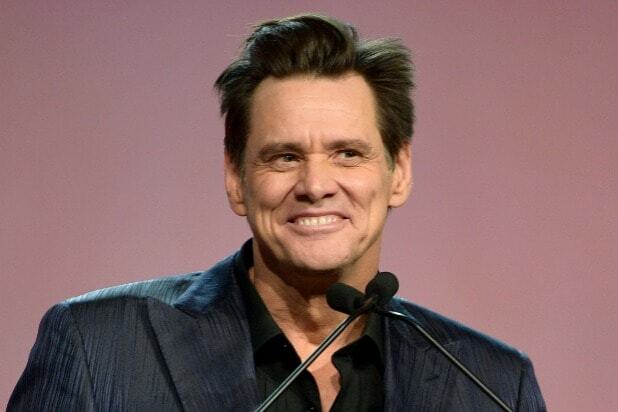 “I’m sure her ‘alternative facts’ are causing a lot of ‘fiction’ between them,” Carrey added. The image itself offered a not terribly flattering rendition of Kellyanne, with George behind her and beaming. See Carrey’s latest work below.